Fancy a bit of creativity and a chance to meet interesting UCL colleagues? Join us for a very special get-together at UCL’s Institute of Making in Malet Place on Wednesday 20th July from 10am to 12noon. 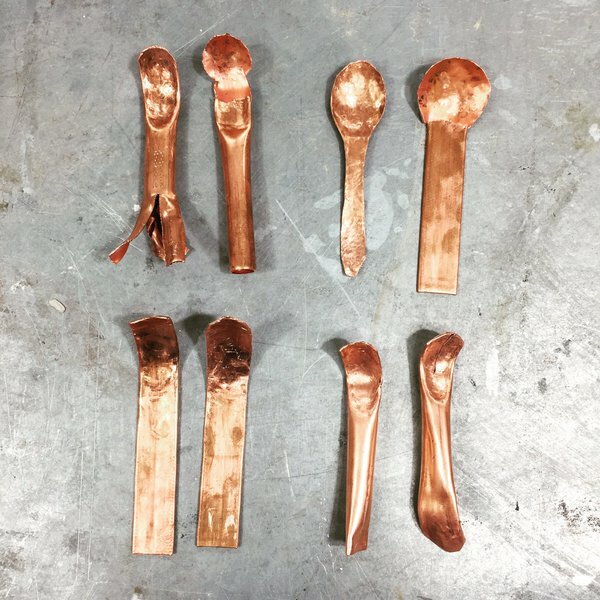 Starting from a piece of copper pipe, you can fashion your very own shiny spoon, under the expert guidance of Olivia Clemence, and meet some of the other members of the UCL Women’s network. You don’t need to be a member of the Institute of Making to attend, but you will want to join once you’ve seen what is possible! Please sign up on Eventbrite – it’s free but spaces are limited. All around the world, there are fascinating women doing fascinating research. We are fortunate enough to have one such person in town for our next bring-your-own lunch networking meeting – all the way from Finland. At the same time, you can meet other friendly colleagues and get to know more people in your own neighbourhood. Join us on 7 June 2016 for an informal talk by Professor Hanna Vehkamäki, a physicist at the University of Helsinki specializing in atmospheric sciences. We’ll meet from 12.30 to 2 PM. Please note that the venue is different this month: the Barlow room on the 8th floor of the Roberts Building (Engineering, entrance in Malet Place). There will be light refreshments provided, but if you want a proper lunch, bring your own or buy one from the ground-floor café or one of the many eateries in Torrington Place. After completing her DPhil in theoretical physics at University of Helsinki, Hanna spent 1998-1999 as a post-doctoral researcher at UCL, after which she returned to Helsinki. She is now a professor in computational aerosol physics, studying cluster and nanoparticle formation in the atmosphere on a molecular level. 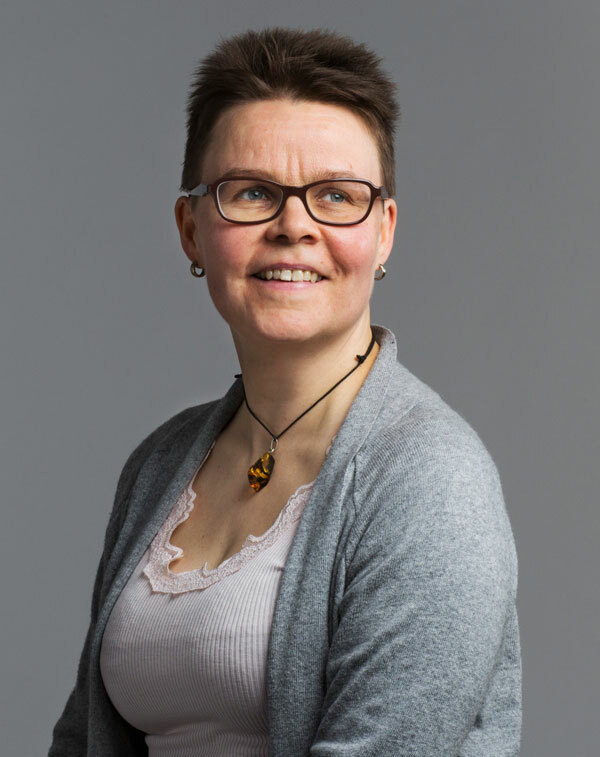 She has led the equality and work well-being group in the Division of Atmospheric Sciences in the Department of Physics, University of Helsinki since 2011. Hanna will speak about efforts to understand why female members of the STEM community feel less appreciated and consider the practices of the workplace less fair than do their male counterparts, as well as proposing practices to alleviate the situation. She will also comment on whether combining family and a scientific career might differ between Finland and the UK. 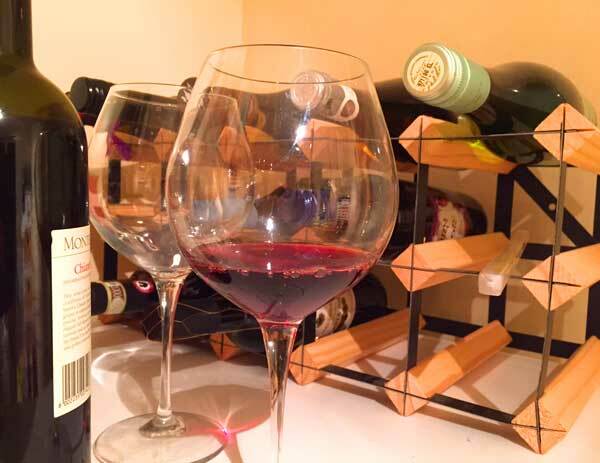 Feeling isolated, bogged down in work, unconnected or just in need of a change of scene? You can’t work all of the time. If you’ve not been before, why not make May the month you decide to finally meet other amiable and inspiring colleagues at our next bring-your-own lunch meeting? Go to the seminar room on the 3rd floor. You can buy drinks and sandwiches at the Café next door to the seminar room, or bring your own! Step-free access is available immediately to the right of the main entrance. 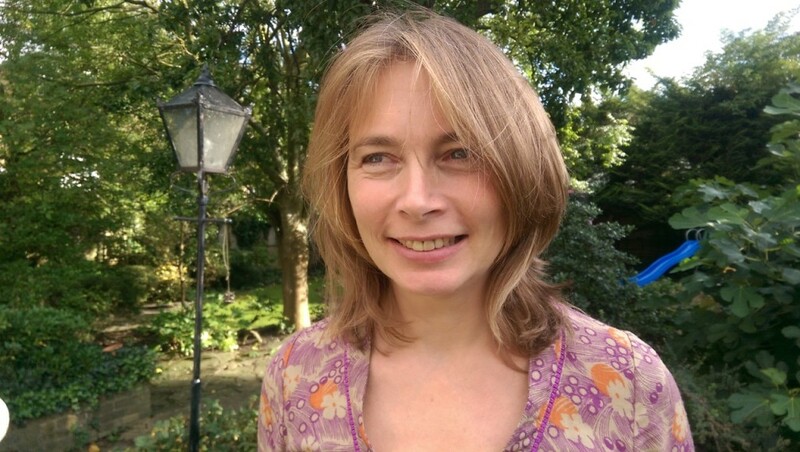 To carry on in our series “Who am I – what am I doing?”, our inspiring speaker is Belinda Brown. She’ll be telling us about herself, her career and some of her thinking about gender equality policies. Belinda is a Research Fellow at the Young Foundation and Research Associate at the UCL Centre for Transport Studies. She has conducted research on a wide range of areas including childcare, migration and children’s independent mobility. She started writing and speaking on family, gender and feminism when she gave up work to care for her sick husband and is now a regular contributor to The Conservative Woman, The Daily Mail and Women’s Hour. She is author of The Private Revolution: Women in the Polish Underground Movement and a number of well-cited academic papers. She recently set up the Gender Equity Network with Dr John Barry and Professor Geoff Dench. Spring is in the air, and it’s time to come out of hibernation and get networking! 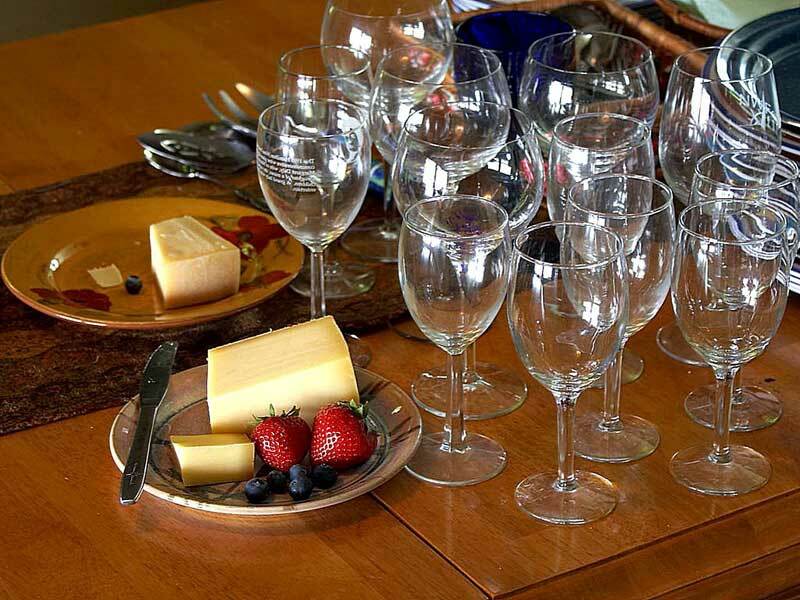 Meet other amiable and inspiring colleagues at our next bring-your-own lunch meeting. Join us on 27 April 2016 for an informal talk by Gerta Vrbová, Emeritus Professor of Developmental Neuroscience in the Division of Biosciences. To carry on in our series “Who am I – what am I doing?”, our inspiring speaker is Gerta Vrbová. She’ll be telling us about herself, her amazing life story and her long and illustrious career. 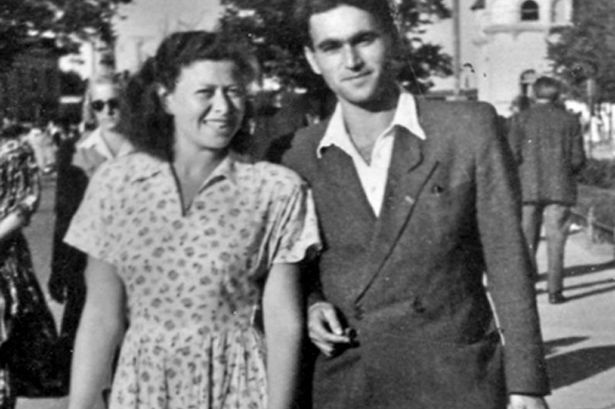 Gerta Vrbová (born 1926, in Slovakia) wrote “Archibald V. Hill’s Contribution to Science and Society”. She herself lived through the Holocaust. The story of her escape to England, where she eventually became a professor at UCL, is like an adventure novel. Communicating with the media is an essential skill for all scientists in this day and age. 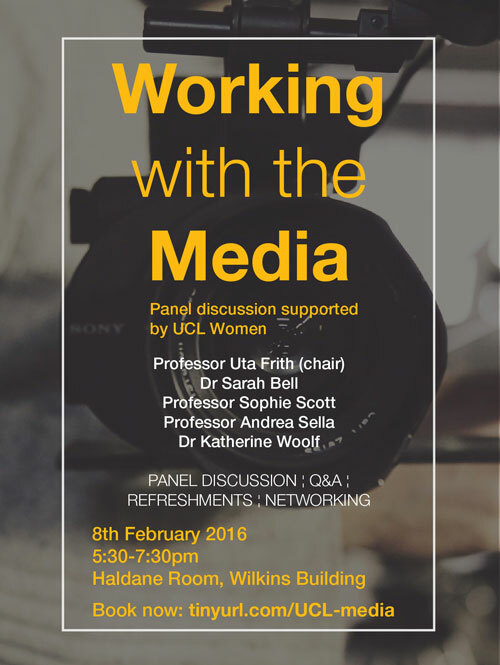 Please join us for an exciting event on 8 February to learn more about it! This event is free but booking is required – register here.